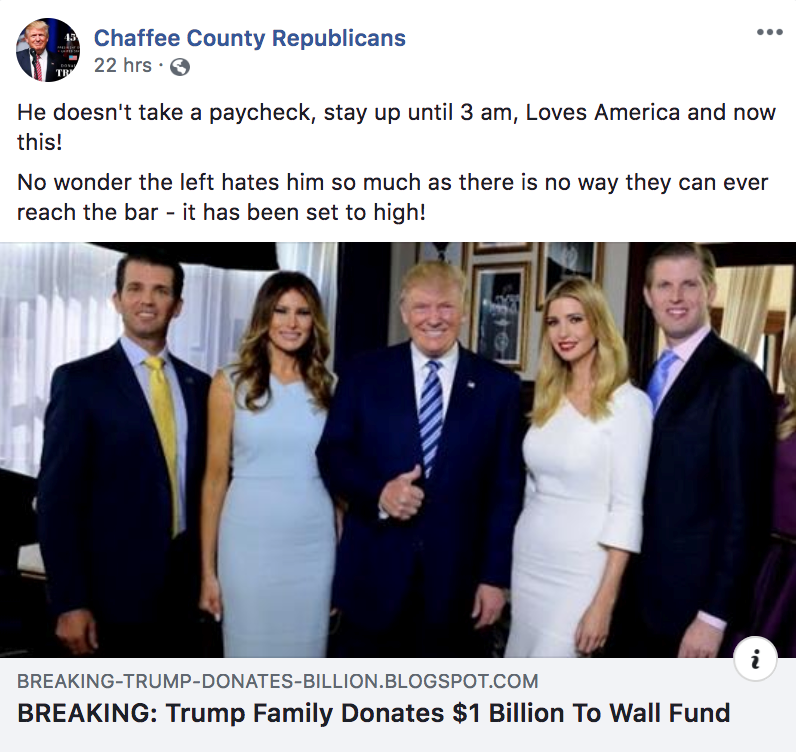 A Facebook post by Chaffee County, Colorado, Republicans claimed “Trump Family Donates $1 Billion To Wall Fund,” and that is simply not true. The post comes amidst the government shutdown over national border security at the southern border. The Trump administration is determined to fulfill the campaign promise of building a border wall. This issue has been surrounded by false claims and statements painting asylum seekers as criminals. The fact is, to seek asylum is legal and the majority of drugs are smuggled through already-established legal points of entry. 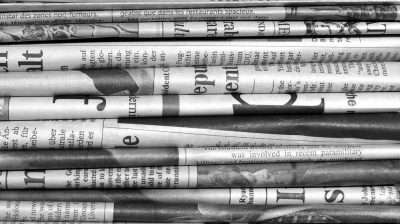 The Chaffee County Republicans have ignored the facts in this politically divisive post and echoed the anti-immigration rhetoric of President Trump. 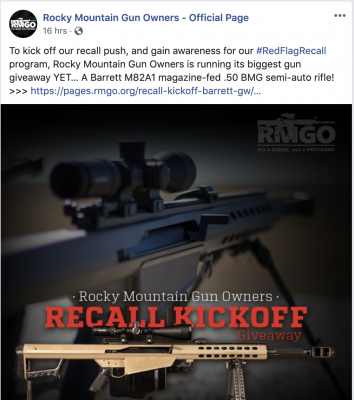 The Colorado Times Recorder reached out to the Chaffee County Republican Committee Chair, State Rep. Dave Williams (R-El Paso County), to see if he was aware that inaccurate information appears on his committee’s Facebook page, but he did not respond. This topic contains 0 replies, has 1 voice, and was last updated by Peter Savic 3 months ago.